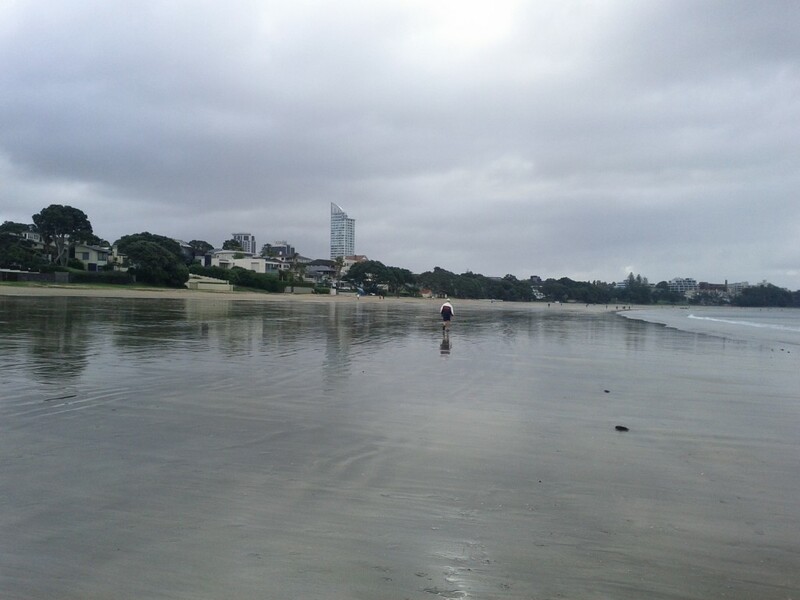 As part of my regular exercise routine, I wander along Takapuna beach – the size of the beach will vary a lot depending on whether the tide is in or out, but the amount it varies is quite dramatic. This is the first time that I’ve lived right next to a beach and it makes you realize how it’s possible for people to get into trouble with walking along beaches and getting trapped when the tide rises. Normally the waves are lapping up against the rocks by the cliff. Will have to time a trip to walk down past the rocks and onto the other beach one day. Quite weird to be walking along areas that at times I’ve been swimming in… From what I can tell, the beach continues on a long way at this decline, there were a few swimmers out even further during low tide, so it certainly continues on like that for some way. 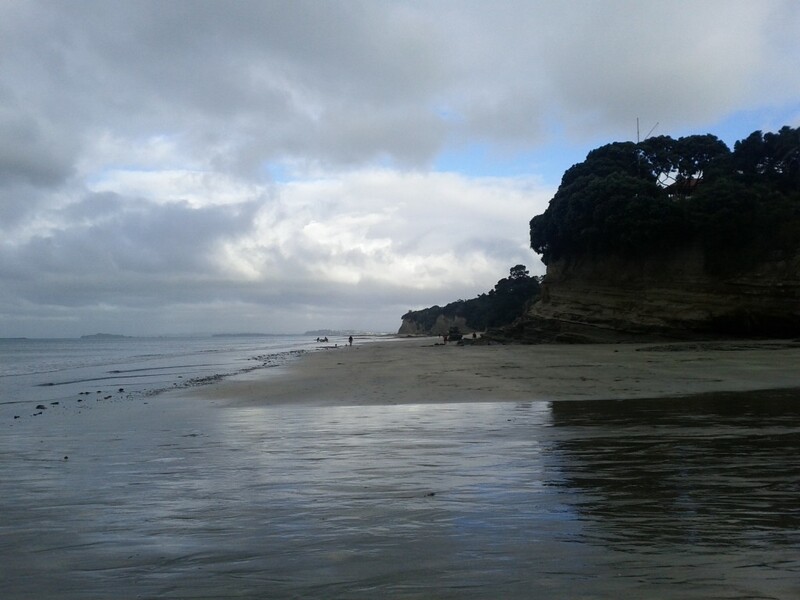 This entry was posted in Uncategorized and tagged beach, outdoors, sea, swim, takapuna, tides. Bookmark the permalink.